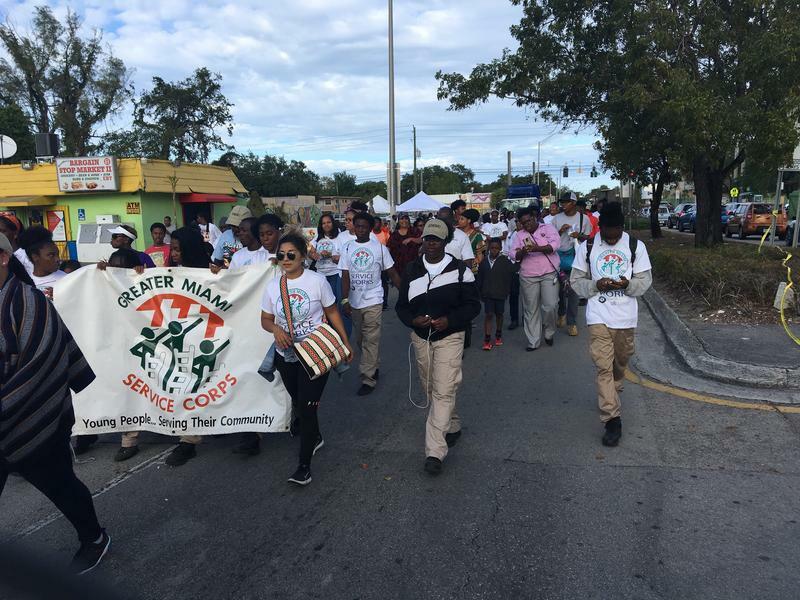 Students from Northwestern High march into the Liberty Square neighborhood where four young men were shot Sunday afternoon. 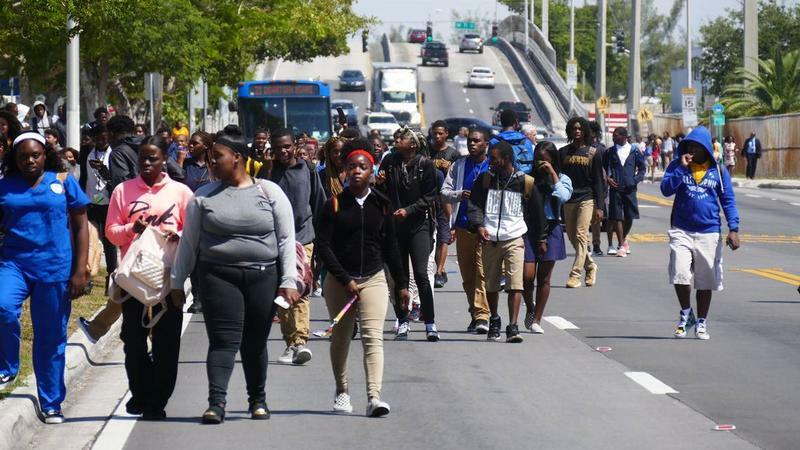 The students were part of a lunchtime walkout to protest gun violence in their neighborhood. Kimson, a 10th grader who was about to be inducted into the National Honor Society, and 18-year-old Ricky Dixon, a former Northwestern student, were killed during the incident. Two others were wounded. 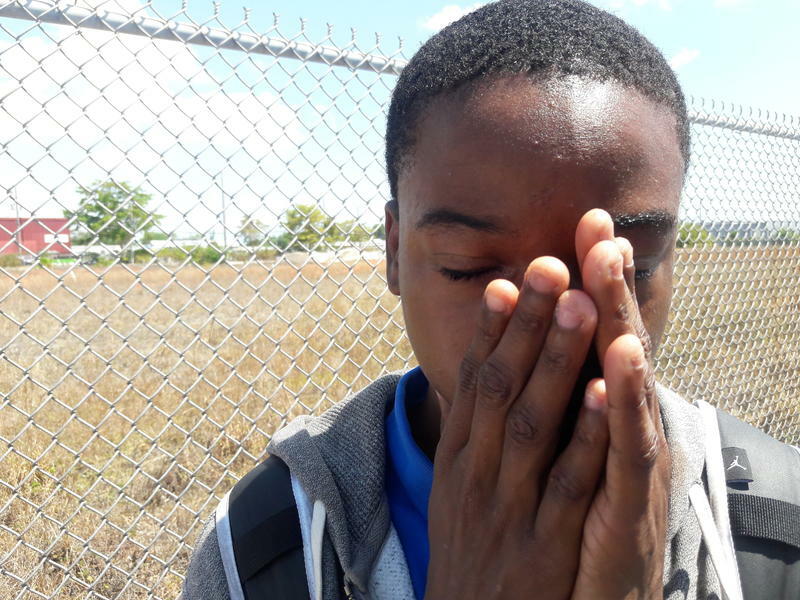 Miami Northwestern students just walked out of school after they weren't allowed to yesterday. The streets were blocked off by police. Teachers and staff joined the walk. Miriam King, a teacher at Northwestern, says students no longer feel safe in the community and they needed to voice that. "The students are charged to respond to what has not been happening, and from what I can tell you, the students are galvanizing to articulate how they feel," King said. "And one of their intentions today was to come to the very community where they no longer feel safe."